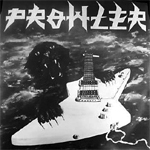 Prowler wrote: Milena started to sing Hard Rock/Metal in the 90's. In the 80's she was famous New Wave/Rock/Punk act. I have her "The scandal" MC from 1994 which has indeed Hard Rock/Heavy Rock influences. You should be carefull with pre-1990 records of her though she looked pretty hot. The Rock for Peace Compilation isn't that good. Not even the Axat track can convince, they do definately not sound like on the LP. 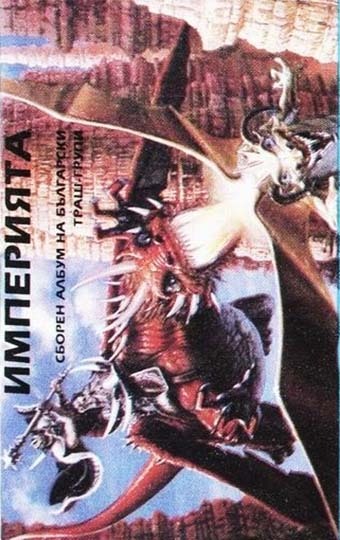 But there's a rip up on the net, you better listen first unless it costs just 5 E. It's for die-hard Eastern Europe fans/complettists only imo. The Era/Concurrent Split LP is still the most recommended vinyl from Bulgaria besides Axat and Iceberg. Even second Impulse LP contains only 60 % fillers besides the 3 famous Metal smashers. Thanks for info Prowler. I won't buy the MILENA lps because they cost too much. I don't like FAKTOR so won't buy them either. I have AHAT (the best band I've heard from Bulgaria) and ERA/CONCURRENT split yet. Never heard the first ICEBERG, a real fucker to find ... what about their second album Heretic ? worth to get ? Astra Wally wrote: Thanks for info Prowler. I won't buy the MILENA lps because they cost too much. I don't like FAKTOR so won't buy them either. For 1994 it contains pretty listenable Metal and doesn't have that crazy sound like the debut! I've only the numbered tape version, should be on CD available too. But I've seen a rip up on the net too on any forum. If possible could you ask the seller which year that Milena/Era Split LP was released? It makes me mad. I thought I had all bulgarian Metal vinyls and now you came up with this one! Prowler wrote: If possible could you ask the seller which year that Milena/Era Split LP was released? It makes me mad. I thought I had all bulgarian Metal vinyls and now you came up with this one! He sells his copy for 50€ which is excessive in my opinion. Anyone know this ? It's split 7" with 2 Bulgarian bands. ROKADA and FSB. Seen it in a photo before (not here), were unable to obtain samples. Anybody knows if Comatose recorded anything else besides the 1993 Exdead tape ? EPIZOD only "disown" their second album 1993 "Murtvetz Sred Murtavzi" and it is because it was produced by guitar players Miro and Drago - neither of which is part of the band any more. 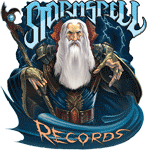 The rest of their catalog is owned by Simeon (current bass player and RTM Records owner). Ironically MSM is Epizod's best album imo - very heavy and doomy, somewhere between early Candlemass and Dark Quarterer. Milena - Ha-Ha LP is metal and is quite rare. Should be in the same raritat vicinity of Er Malak as only 500 are said to be pressed of each. For comparison AHAT was pressed in 4,000 copies. Comatose after "Ex-dead" replaced their vocalist with Ico Angov (previously in BTR) and recorded two songs, one was power-ballad and had a clip which rotated on Bulgarian TV around 1993 or so. I'd have loved to release Ex-dead on CD, but the master tapes seems to be lost. I'd also love to release BTR's debut album, but things are complicated there. ROKADA is generic hard rock, FSB is commercial art-rock, neither would be of real interest to heavy metal fans. So, what about this band ACCENT, featured on this 1990 comp on Balkanton: http://thecorroseum.org/comps/21styouthpopsongc.html ? I haven't been able to find out any info whatsoever about this band, so maybe someone watching this thread knows more? Iordan? A late thanx for the Accent-info. That BG Rock Archives site was very interesting too - will add it to The Corroseum link page for the next update. Do you have that comp tape? Care to share i? I think I got it downloaded somewhere but can't find / remember / right now. Just received this massive book about Bulgarian rock metal scene from end of 80'es. Looks awesome! Yeah ACCENT were quite good melodic power metal. It was basically the IMPULSE line-up from 1987 (minus Ilia Kunchev of course) with Nasko Stefanov on vocals.